Glorious aromatic prawn and rice Pulao will satisfy your taste buds for days. 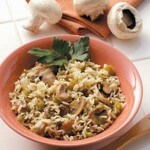 The spicy peas or matar pulao is as much a pleasure for our eyes as our taste buds. 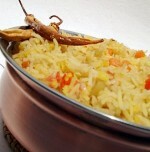 A nice twist to a typical rice or biryani recipe.